The existing filter plates for filter dryers can be replaced smoothly and quickly anywhere. This is also possible for machines from other suppliers. According to the customer´s requirement and machine specification the replacement of multilayer filter plates is done completely or separated in different sectors. Multilayers are available in SS 316L or Hastelloy C22 or other materials on request, available porosities 5, 10, 20 or 40 micron, other porosities on request. For machines with a bigger diameter – mainly for chemical specification – the division in different sectors offers, in case of break, the advantage that only the damaged part has to be replaced. This guarantees an efficient operation. The multilayer filter plates can resist to the backpressure from below up to 0,5 bar (option). 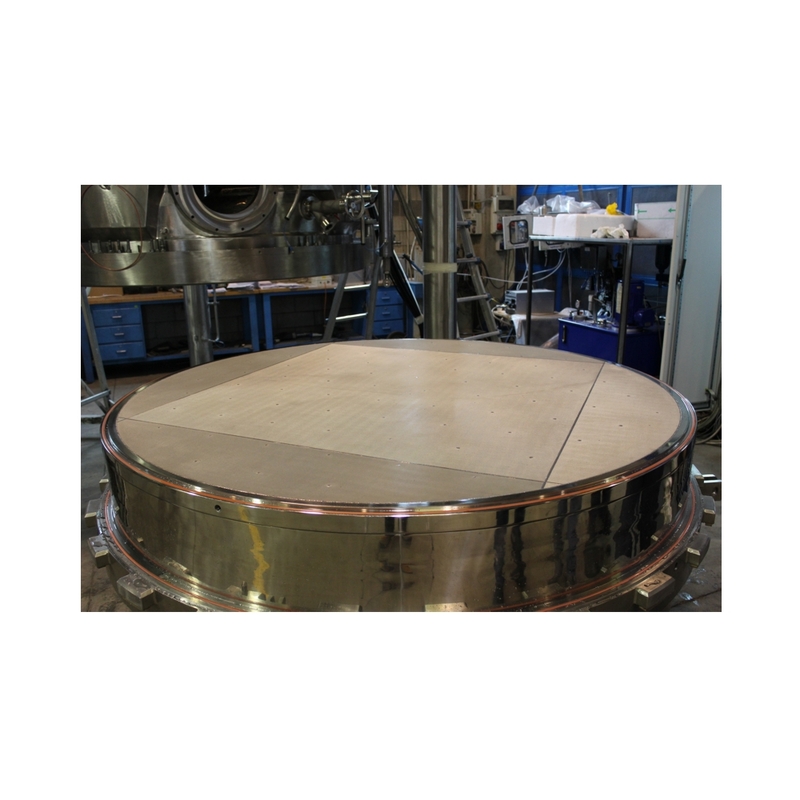 The complete filter plates suit for machines with a smaller diameter which are mainly used for the production of active pharmaceutical ingredients (API). The filters are fixed from below. Made with a smooth surface, with screws not in contact with the product and easily to replace, they are ideal for pharmaceutical use. The multilayer filter plates can resist to the backpressure up to 0,5 bar (option).